Celebrating 25+ Years of the Ultraverse! In celebration of 25+ years of the Ultraverse, I’m working on “revisiting” as many issues as I can, in roughly chronological order of original release (June 1993 issues, then July 1993 issues, etc) of the Ultraverse line. I plan to keep this page updated with links to the newest posts, but may be slightly behind depending on real-life goings-on. 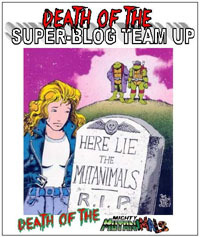 Check the sidebar, and if you see any Ultraverse Revisited posts there that are not listed here, then this page is obviously out of date.